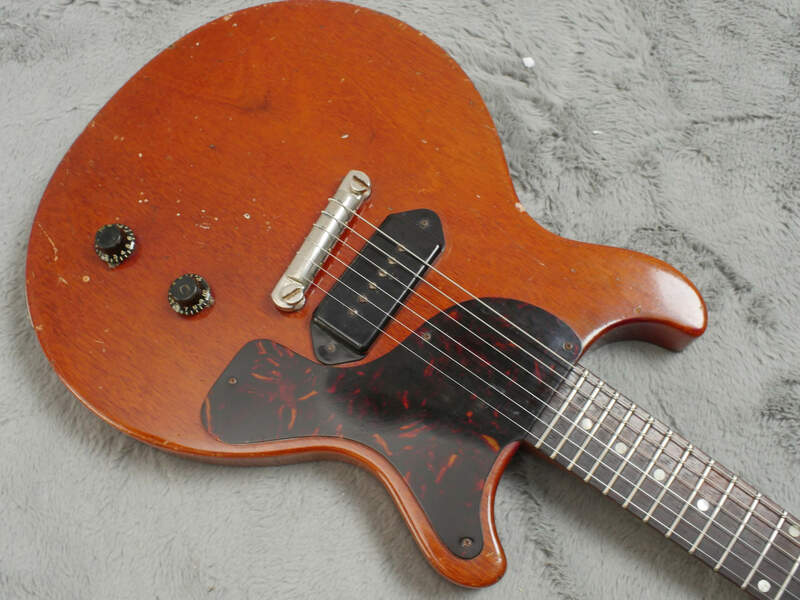 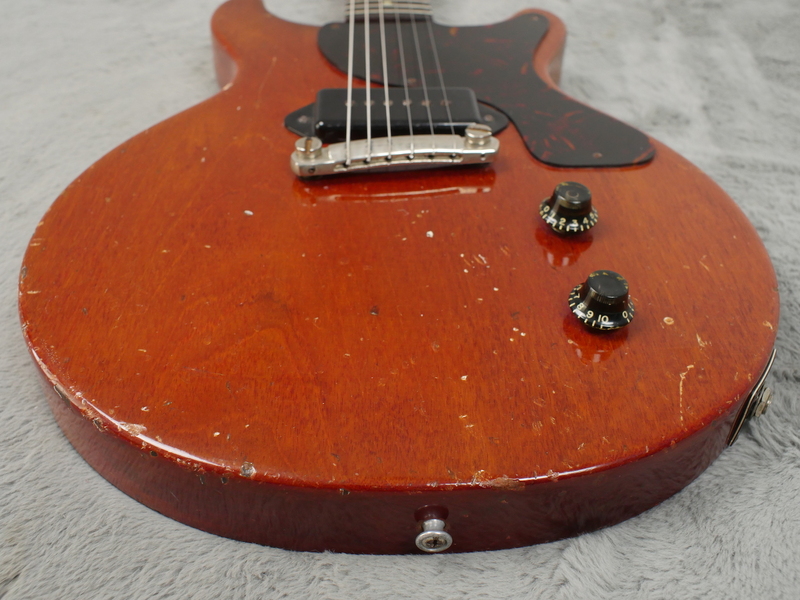 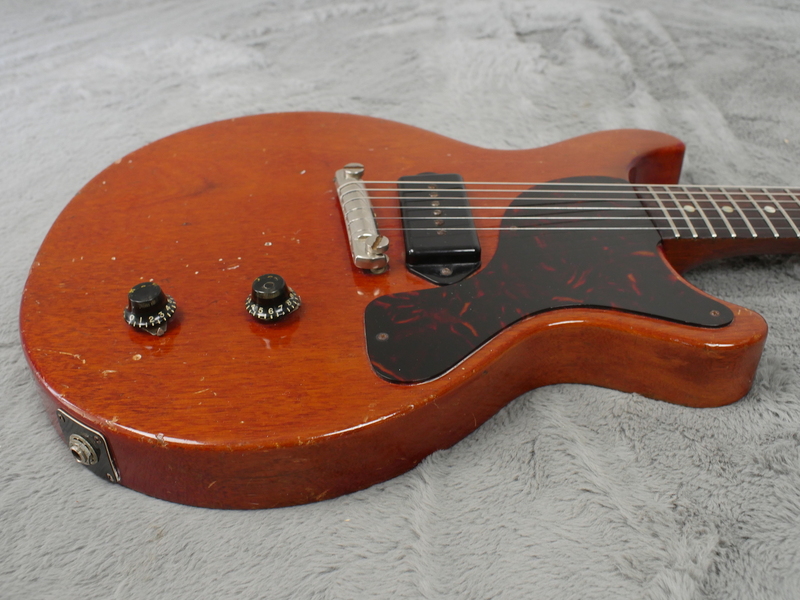 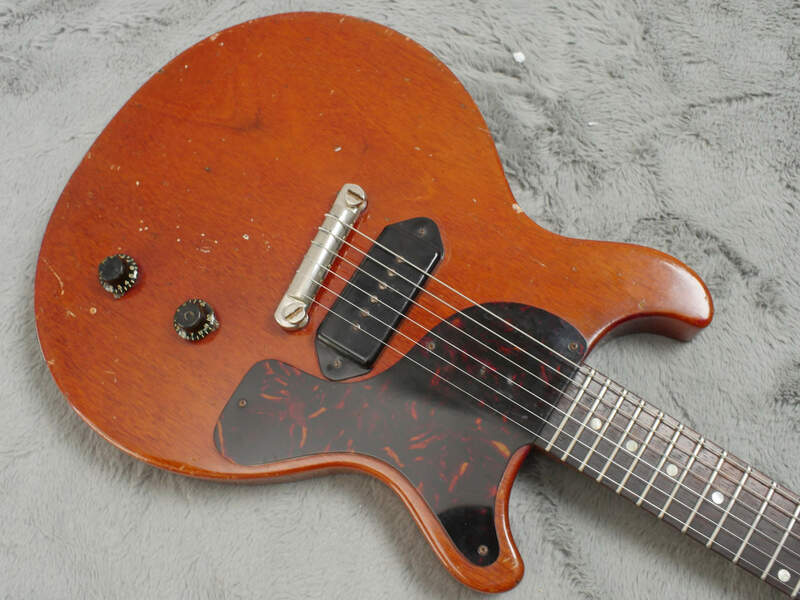 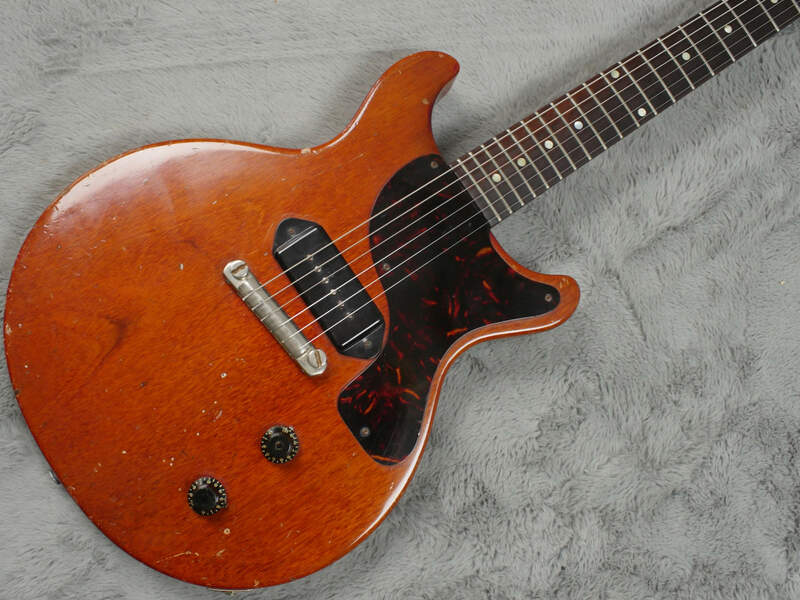 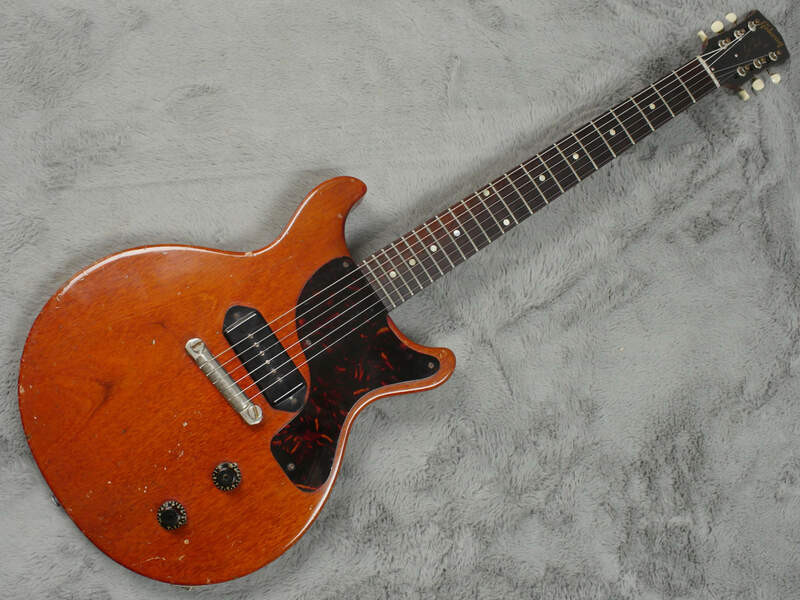 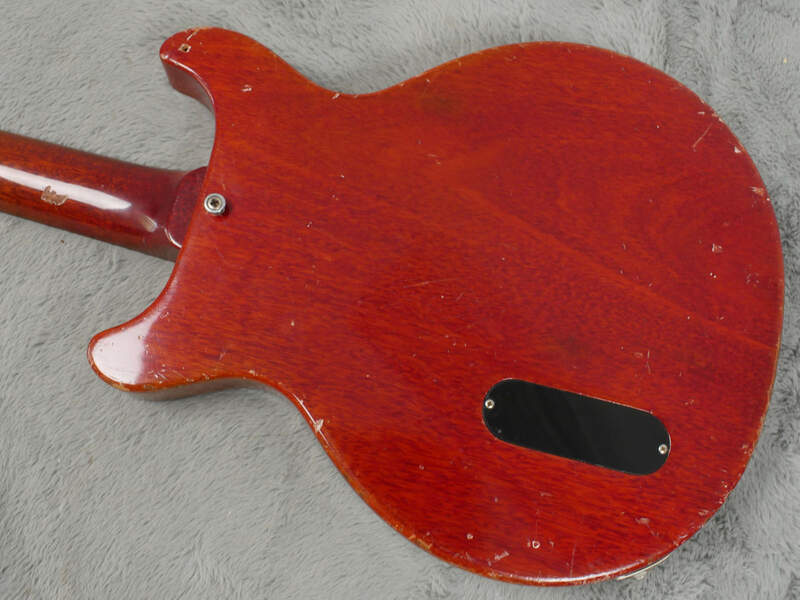 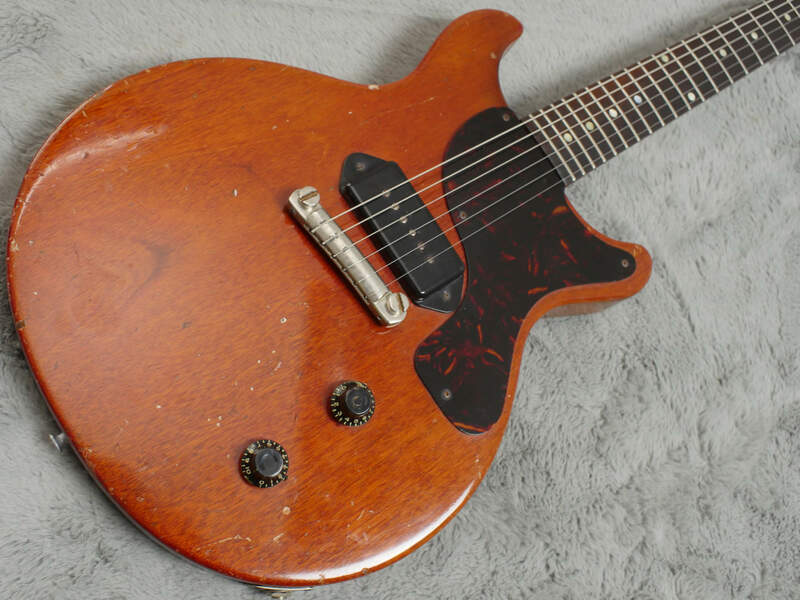 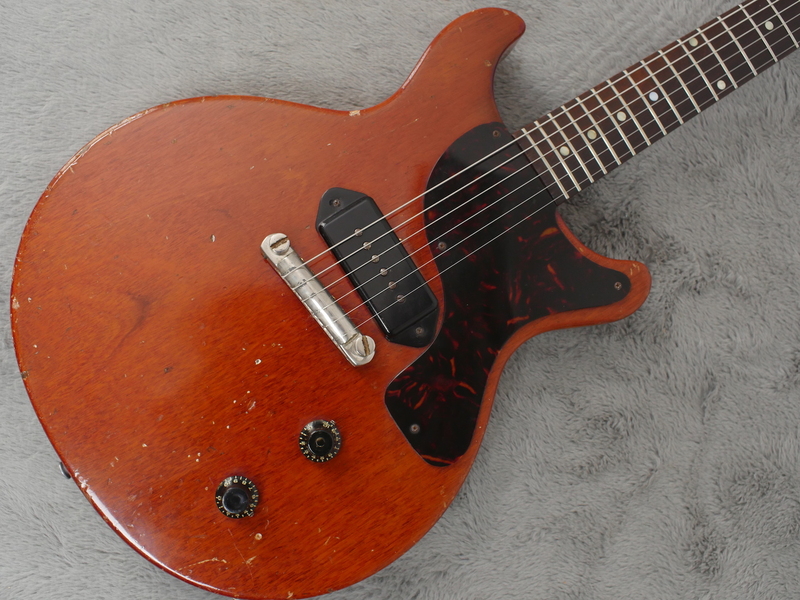 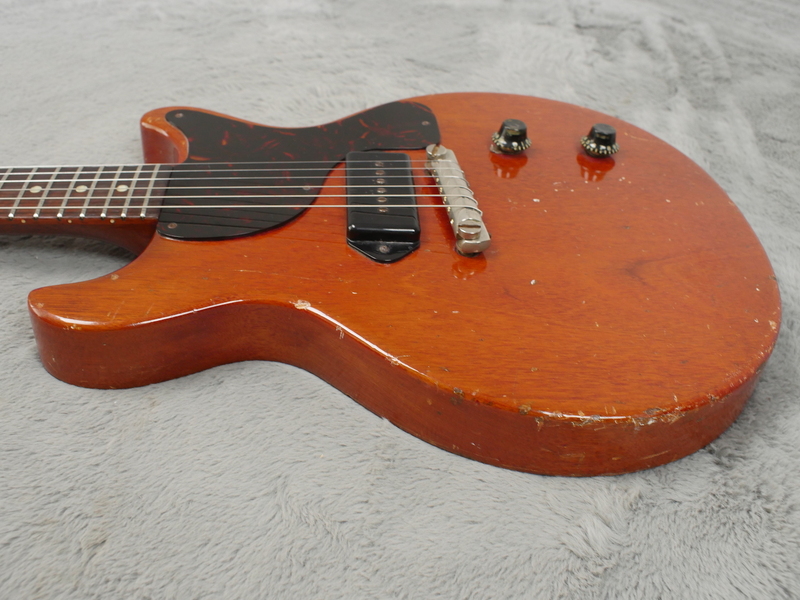 Here’s a reasonably priced, classic 1959 Gibson Les Paul Junior in cherry red, double cut away and stonking hot vintage P-90. 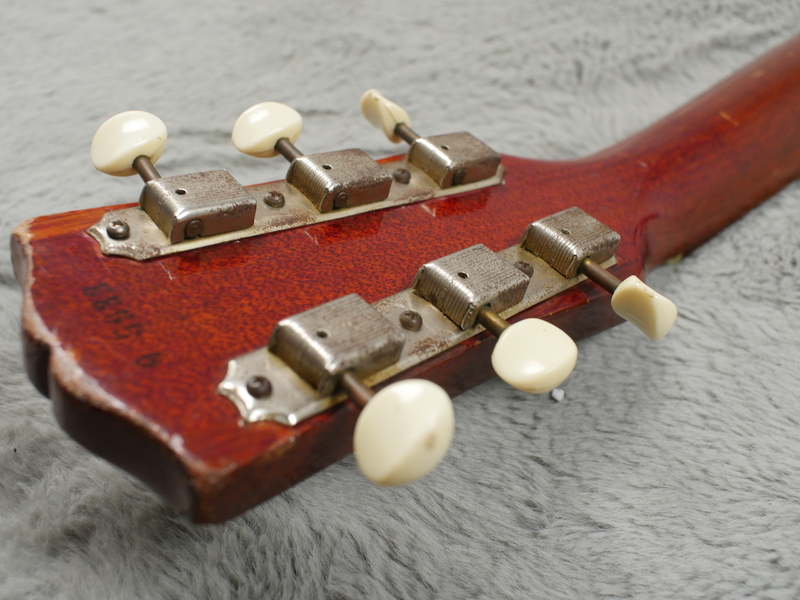 It is a reasonable price because someone mounted an extra strap button (now removed) behind the upper horn and there is no original case included with it. 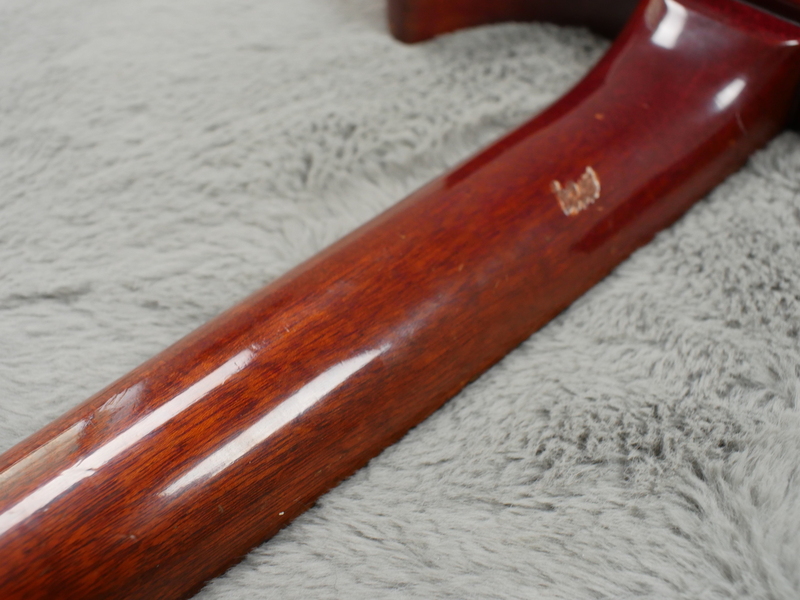 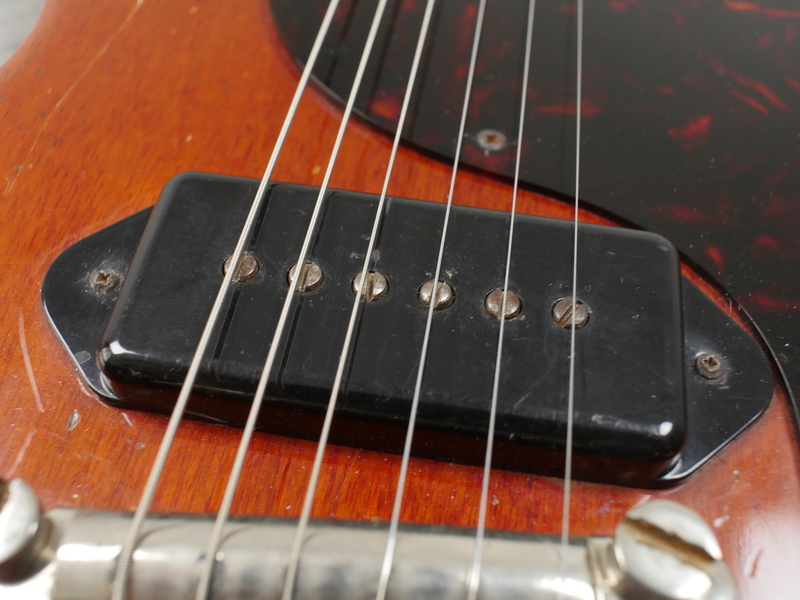 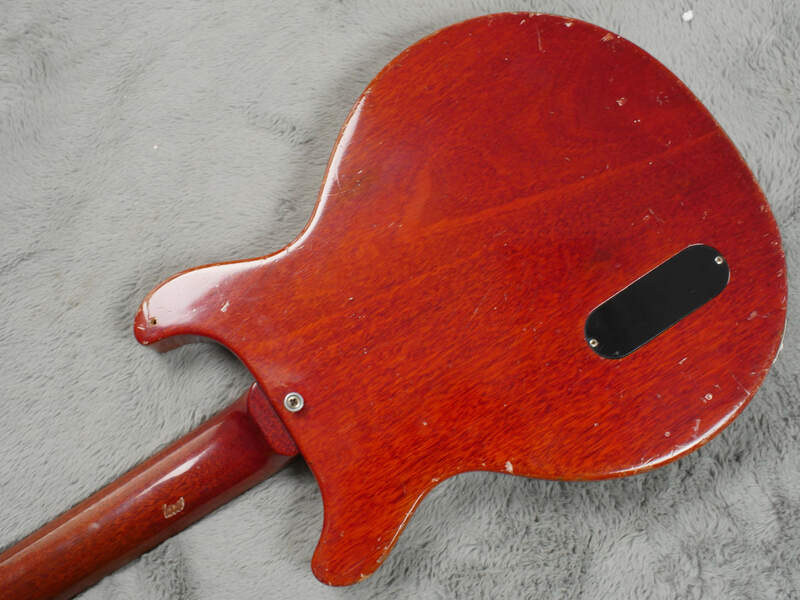 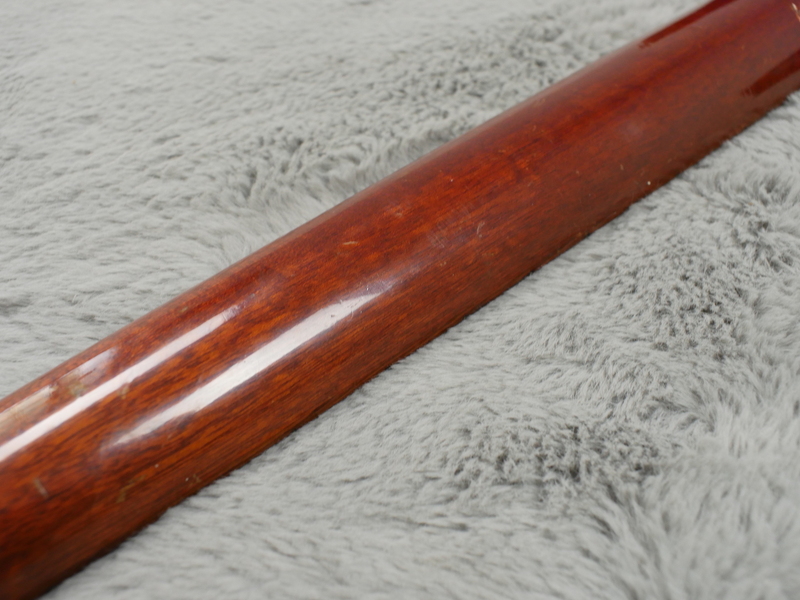 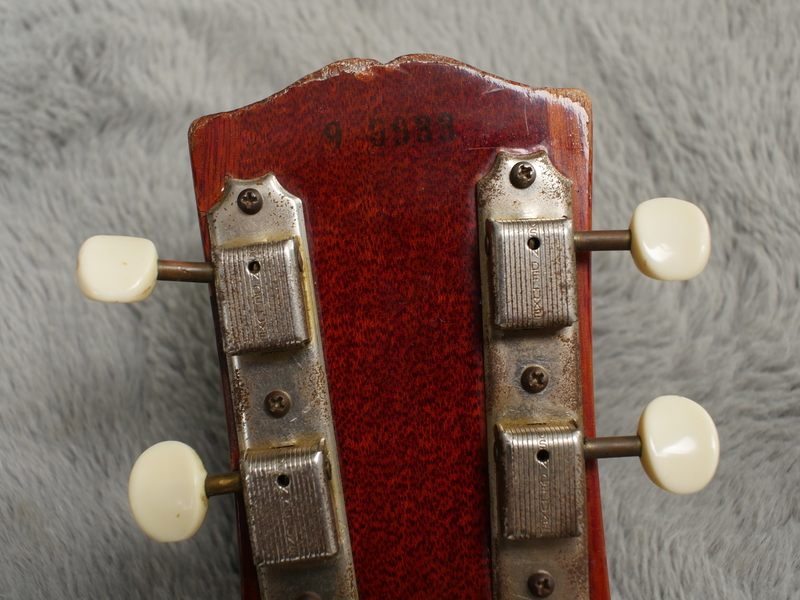 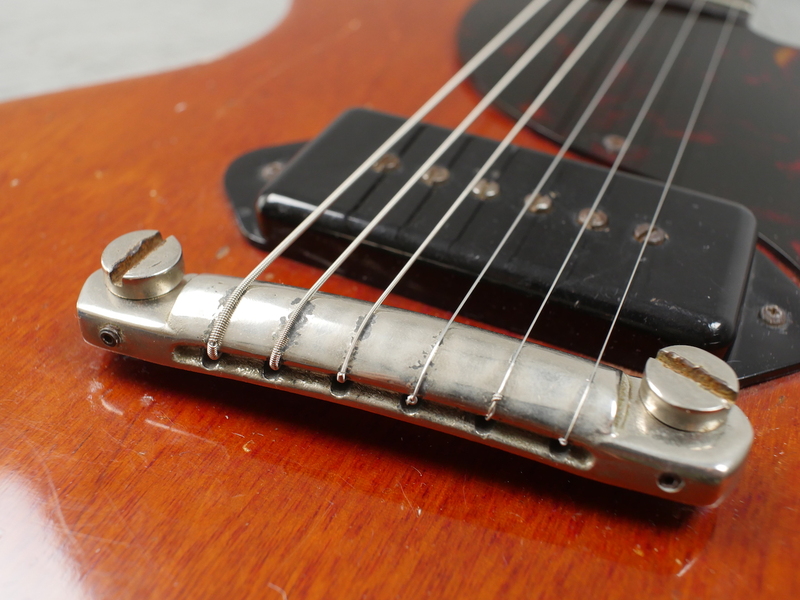 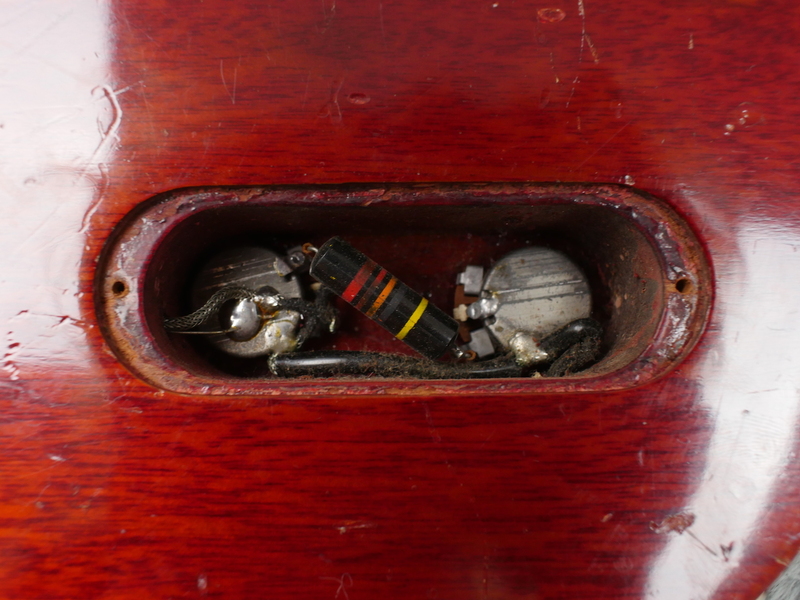 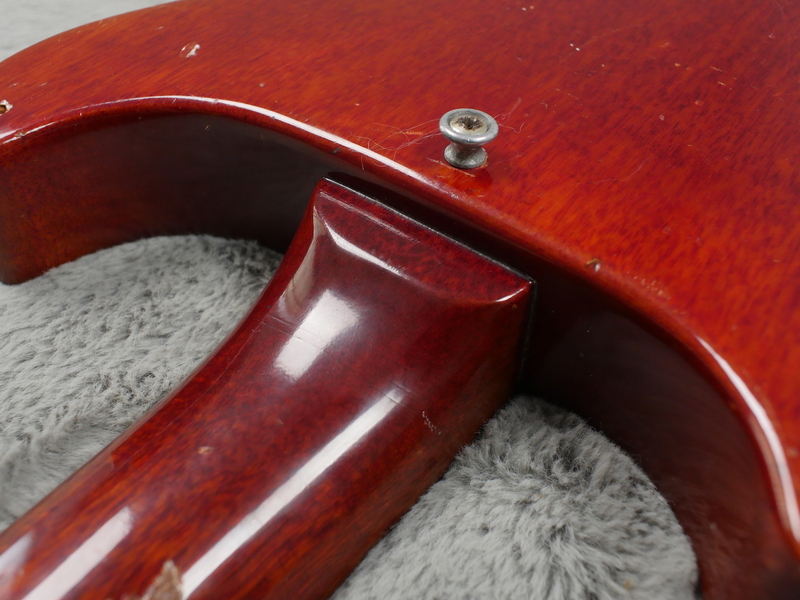 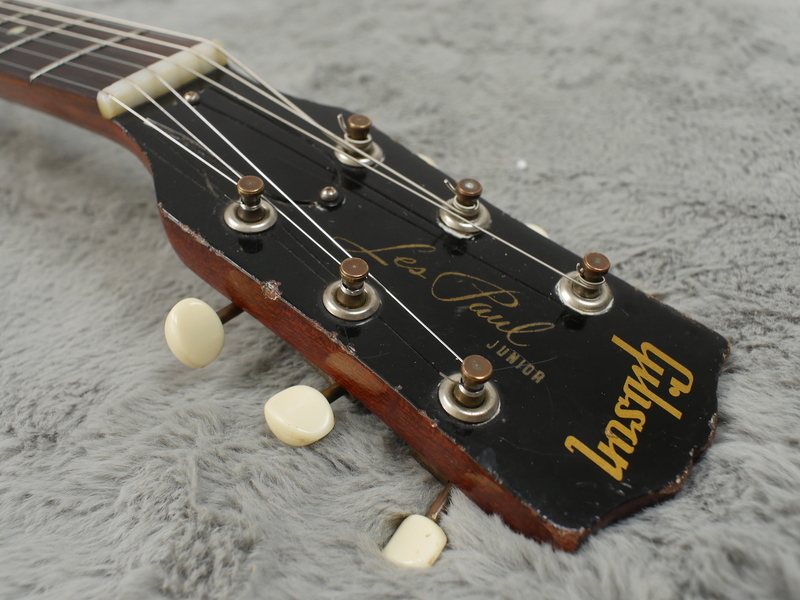 It is also no museum piece, there are dings, dongs and marks in a fair few places and the headstock is a little dog eared as you can see from the pictures. 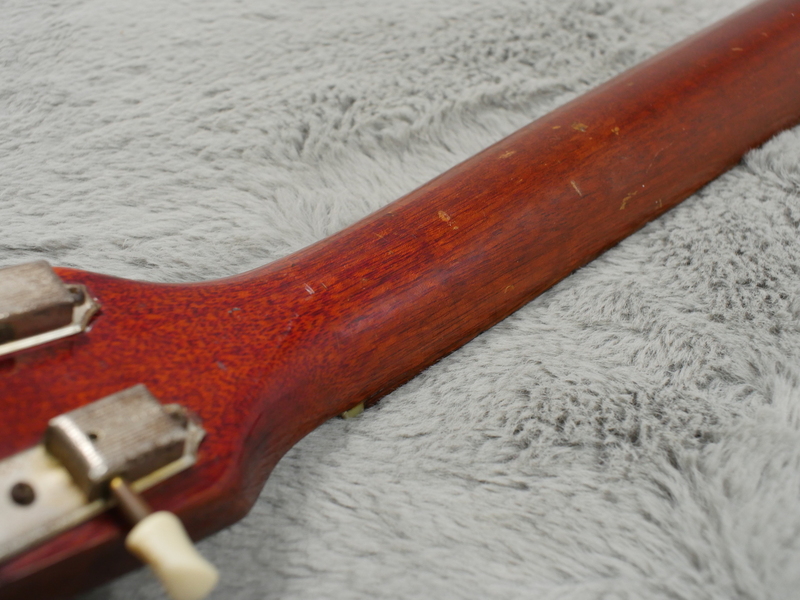 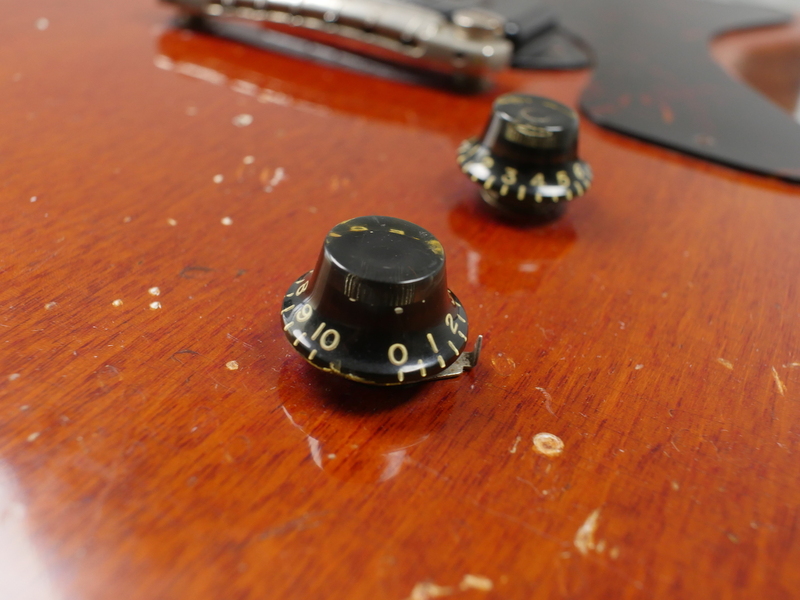 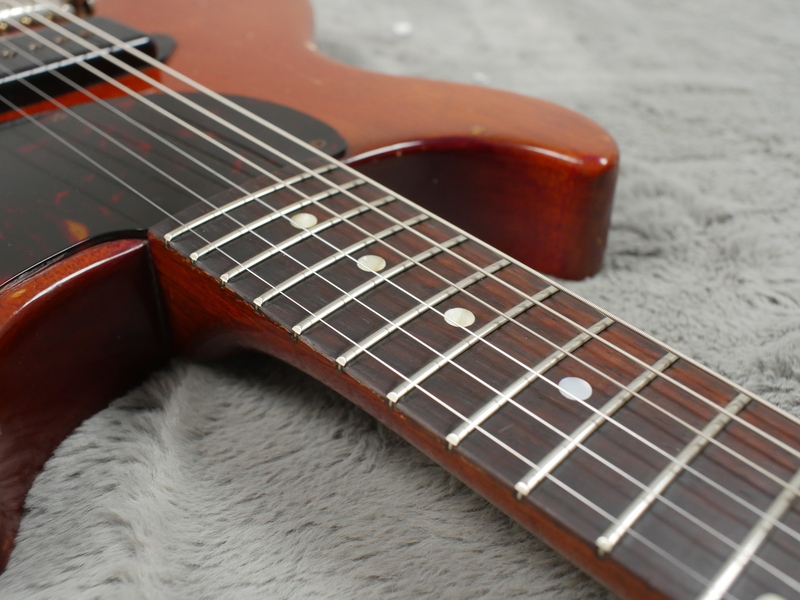 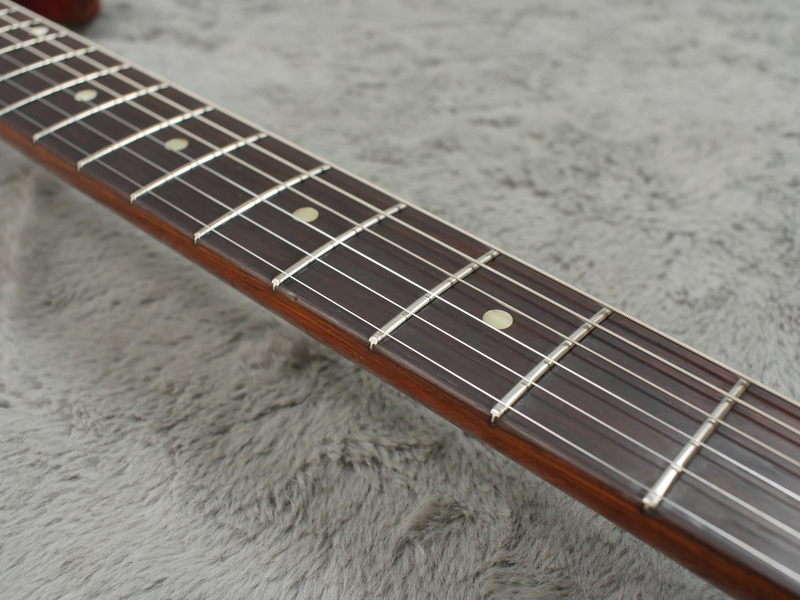 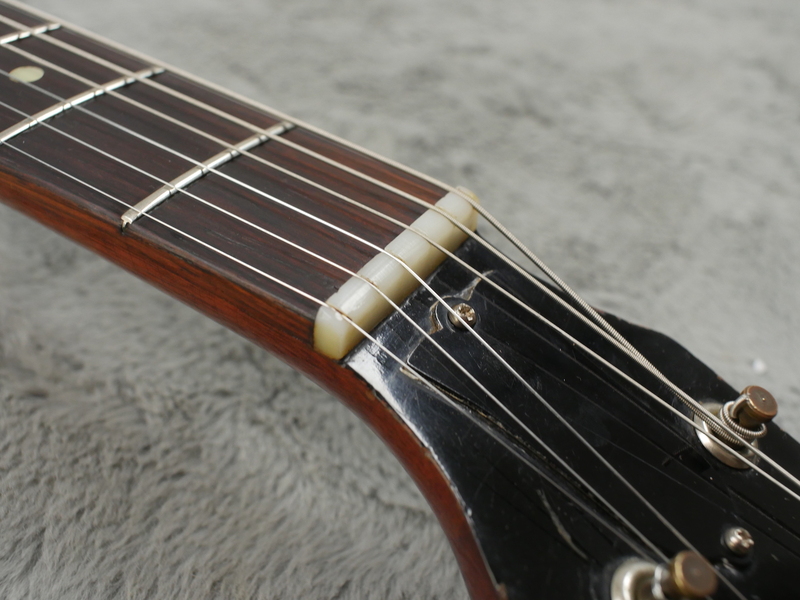 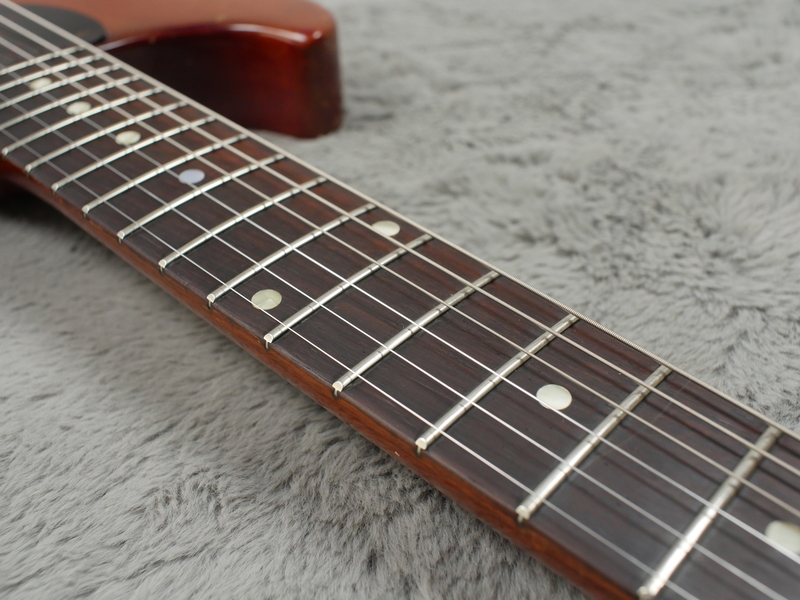 Repairs: Replaced tuner tips and one fretboard dot.